Drone safety experts are considering a rating system for drones that would show what a particular craft could do and where it would be appropriate to fly it. "It's sort of an Underwriters Lab for drones," said Parimal Kopardekar, head of NASA's NextGen Airspace Project, referring to the old safety testing organization now known as UL. Kopardekar said the program would primarily focus on drones weighing less than 55 pounds (25 kilograms) and involve a series of tests. They might include various twists and turns, flying in a narrow alley, staying aloft in wind, rain or fog, and how a drone responds when its GPS signal is lost. 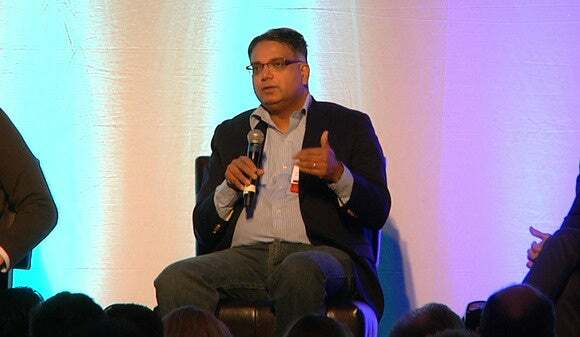 Parimal Kopardekar,Principal Investigator of the NASA's NextGen Airspace Project, speaks at the Drone World Expo in San Jose, California, on Nov. 17, 2015. 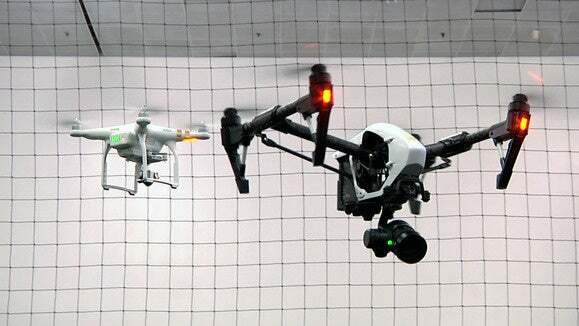 "You'd get a performance rating for a particular vehicle, so you'd know based on that where is the right place to operate it," he said at the Drone World Expo in San Jose on Tuesday. The goal would be an easy to understand rating that can be used by consumers, commercial operators, insurance agents and regulators to quickly gauge the capabilities of a drone. "Right now, that kind of guidance is missing," he said. It's not clear which organizations might be working with NASA on the program; the agency is cooperating with a large number of public and private partners on drone safety.